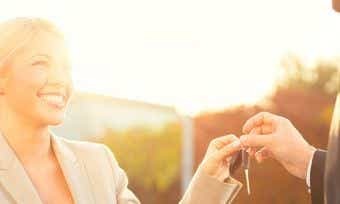 Coles Financial Services is a provider of landlord insurance as well as car insurance, home & contents insurance, credit cards and travel insurance. Landlord insurance caters to the needs of landlords, providing a home insurance product specifically designed to provide property owners with protection against the financial loss that may result from owning a rental property. The table below displays a snapshot of Coles’ landlord insurance policies on Canstar’s database. Please note the products and Star Ratings displayed are based on a house in New South Wales. What landlord insurance policies does Coles offer? Coles offers three main landlord insurance policies – building & contents insurance, buildings insurance, and contents insurance. Damage to property from natural disasters or malicious acts. Legal liability – for damage to other people on your property. For a detailed look at the various landlord insurance exclusions and what can cause them, see Coles’s Product Disclosure Statement (PDS). Does Coles landlord insurance protect you from loss of rental income? Cover for loss of rent is an optional extra on both their buildings insurance policy and contents insurance policy. See the PDS for more information on possible exclusions. 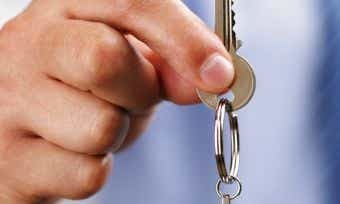 See this article for a quick guide to what landlord insurance is and what it may cover you for. Related Article: Landlords: How To Find A Good Tenant For Your Investment Property. Does Coles landlord insurance cover you for damage to your property? A landlord insurance policy may provide you with some cover should damage be caused to your rental property by tenants or their guests. See the PDS for more information on possible exclusions. Related Article: Landlord Insurance: What Investors Should Know. Does Coles landlord insurance protect the contents in your property? Landlord insurance can also protect property owners from damage that can occur to the contents they own in their investment home. While Coles’s combined building and contents landlord insurance policy is the most common option for landlords and has contents cover included, Coles also offers building cover and contents cover as separate policies. For more information about the different policies, look at the Coles website. Related Article: Should You Hire A Property Manager? What ‘defined events’ does Coles landlord insurance protect you from? In insurance terms, a ‘defined event’ (also known as a ‘listed event’) on a policy is a damage-causing event which you’re insured for under that policy. To see the full list of defined events, see the PDS. Related Article: 5 Property Investment Mistakes & How To Avoid Them. Does Coles landlord insurance offer cover for flooding? Flood damage can be treated as different to storm damage in the insurance industry, and as a result you may not be automatically covered for it. Coles’s building & contents landlord insurance does offer cover for flood damage, however please consult the PDS for information about exclusions and conditions that may apply. What additional benefits can you add to your Coles landlord insurance policy? Cover for theft or malicious damage caused by the tenant or their guests. For a full list of additional and optional extras, consult the PDS. Does Coles also offer home insurance? Yes, Coles also offers home insurance in addition to landlord insurance. At the time of writing, the Coles website has a 25% multi-policy home & contents insurance discount available. They also have a sign up offer wherein everyone who gets a ‘little red quote’ and purchases their policy online will save 10%. See the difference between home and landlord insurance here. How do you take out landlord insurance with Coles? You can purchase a Coles landlord insurance policy by comparing your options with Canstar and generating a quote on the Coles website. They will ask you some general questions about your personal details, the cover required, the details of the building, and any optional extras you might be after. It shouldn’t take longer than 10 minutes. Coles began in 1914 as a discount store with the slogan “nothing over 2/6”. They branched out into financial services in the 21st century. Coles Financial Services is underwritten by some of the biggest financial service providers in Australia. You may have seen the “Little Red Quote” ads on TV advertising their car insurance, showing real examples of how much money you could save. You can download the Coles Insurance Claims Assistant App on the Apple App store. The Star Ratings in this table were awarded in July 2018. View the CANSTAR Home Insurance Star Ratings Methodology and full report. The Star Rating shown is only one factor to take into account when considering a product. The Star Ratings in this table were awarded in July 2018 and data is as at that date, updated from time to time to reflect product changes notified to us by product issuers. The search results do not include all home insurance providers and may not compare all features relevant to you. View the CANSTAR Home Insurance Star Ratings Methodology and full report. The rating shown is only one factor to take into account when considering products. The products and star ratings displayed for each product in the table may not match your specific inputs in the selector. The star ratings displayed are those whose methodology most closely matches your inputs. In some cases, the methodology uses profiles comprising categories or bands eg. income, loan amounts, monthly spend. In other cases, a single methodology (without any categories or bands) is applied. Canstar is an information provider and in giving you product information Canstar is not making any suggestion or recommendation about a particular product. If you decide to apply for a home loan, you will deal directly with a financial institution not with Canstar. Rates and product information should be confirmed with the relevant financial institution. Home Loans in the table include only products that are available for somebody borrowing 80% of the total loan amount. For product information, read our detailed disclosure, important notes and additional information. *Read the comparison rate warning. The results do not include all providers and may not compare all the features available to you. Canstar may earn a fee for referral of leads from the comparison table. See how we get paid.